Recommended good selling product. The traditional recipes that holds the heart of Sukiyaki eaters for 18 years for everyone served with a mindful delight Suki meal at home every day. 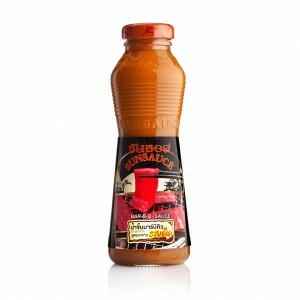 Simply add a variety of dining Suki at home with Sunsauce seasoning sauce Shabu Shabu. 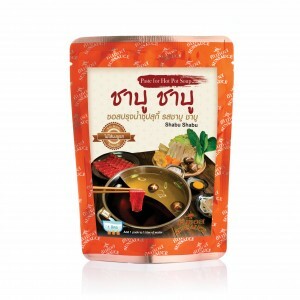 Just mix in hot water to make a delicious Shabu Shabu hot pot soup which made from natural ingredients 100%. There is no MSG, color and there are no preservatives. 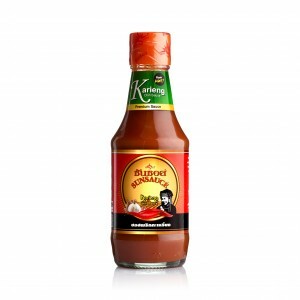 Rich sesame bar be que sauce drowns out the meat’s greasy taste and a little spiciness add excitement to your meal! Sour, sweet, and spicy are well-blended in the bottle. 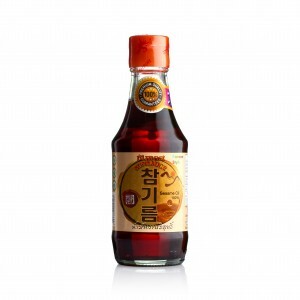 Go well with all seafood such as grilled shrimp, squid, crab, and cockle. Enjoy authentic Thai spicy salad at home in just 2 easy step— pour in and mix! 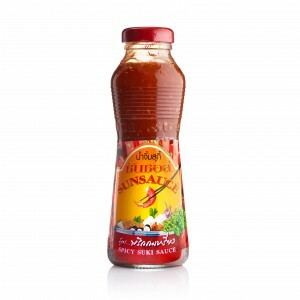 SUNSAUCE Thai spicy salad dressing is a ready- made dressing for cooking all Thai spicy salad dishes such as Yum-Talay (Spicy Seafood Salad), Yun-woonsen (Spicy Cellophane Noodles Salad), and Yum-Sam-Grob (Triple Crispy and Spicy Seafood Salad). SUNSAUCE Karieng Chili Sauce is a Sriracha-style chili sauce with a twisted of hotness— strictly not for the fainted-heart. 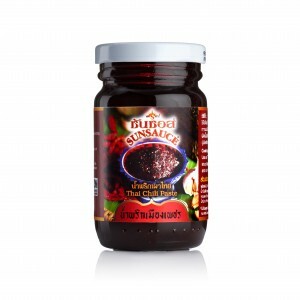 It is made from Thai special chili called ‘Karieng Chili’ which is famous for super hotness and distinctive aroma. 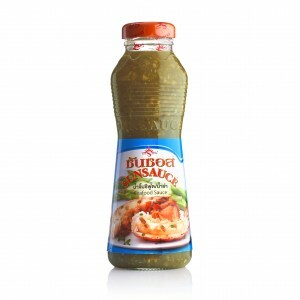 Our chili sauce is definitely will give you a new experience! Good for all grilled and fried food. 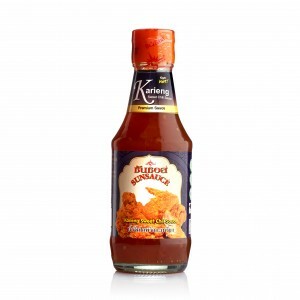 Sunsauce Karieng sweet chili sauce is an ideal for spicing up any fried dishes such as fried chicken, fried fish, and more. The distinctive hotness of Karieng chili will increase your appetite. 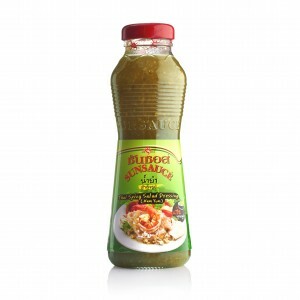 SUNSAUCE sesame oil is naturally extracted with no chemical use. Good quality sesame seeds are roasted until golden brown before extracted. The result is very fragrance sesame oil. Sesame oil is rich in Vitamin E, Omega 3, and Anti-oxidant. 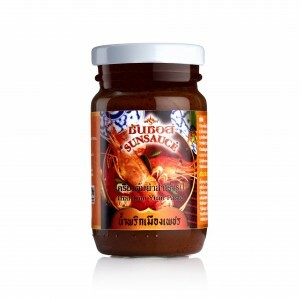 A well-known chili paste from Phetchaburi, using the finest ingredients and aromatic coconut sugar savor. You can choose to do the simple menu from Thai chili paste, changing tastes, as such any stir fried or bread with roasted chili paste. 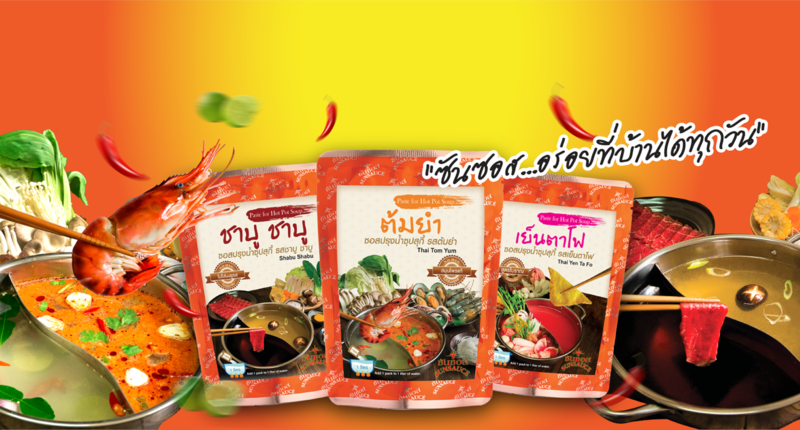 A delicious cooked, full-flavored seafood in a soup pot with highly selection of natural raw materials and clean such as the shrimp, lemon grass and herbs, and more importantly without MSG added. The taste is well combined, ready to mix with hot water to make a bowl of Tom Yum soup. © 2015 SUNSAUCE All Rights Reserved.